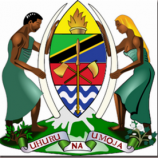 The Tanzania Public Service College (TPSC) is a Government Executive Agency established in 2000 as a direct response to fill a void for a sustainable public service training institution. TPSC offers programmes that are directly linked to Government business agenda and demand driven. As the demands for the public service to offer quality services at affordable costs increase, it is imperative that the service should be staffed with competent personnel. Hence, TPSC’s core business is to develop the appropriate public service competences, which will transform the service into effective and efficient machinery that will strive to meet citizen’s needs in terms of services. TPSC’s Mission is to improve the quality, efficiency and effectiveness of the public service of Tanzania by providing comprehensive training, consultancy and applied research interventions. less than 3.5 in Bachelor degree. 1.1.4 TUTORIAL ASSISTANT (Secretarial Studies) – (6) POSTS.  Candidate should be eligible for registration as technical teacher with a G.P.A of not less than 3.5 in Bachelor degree. ii. Receives letters from customers and records them in relevant register. iv. Opens mail collected from the post office. v. Keeps in safe custody files and documents. vi. Maintains a record of file movement.  Holder of National form IV with Certificate in Records and Archives Management (NTA Level 5) or equivalent qualifications from a recognized institution. iii. Assists in determination of enrolments budgets in a semester in all programmes. iv. Prepares report of registered students for other use/decision making processes. v. Coordinates students’ orientation program in liaison with dean of students. Management or equivalent qualifications from a recognized institution with a G.P.A of not less than 3.5 in Bachelor degree. vii. Maintains public and staff catalogues.  Bachelor Degree in Library and Information Studies or equivalent from a recognized institution. Management or equivalent from a recognized institution. ii. Prepares monthly revenue & expenditure reports. qualifications registered as Associate Certified Public Accountant. e-Government Agency (eGA) is a semi-autonomous institution established in 2012 under the Executive Agencies Act, No.30 Cap. 245 of 1997. The mandate of e-Government Agency includes coordination, oversight, provision, promotion of e-Government initiatives and enforcement of e-Government standards and guidelines in the Public Service. i. To ensure coordination, management and compliance of e-Government implementation and initiatives. ii. To ensure within the Government, users have access to shared ICT infrastructure and resources. iii. To promote and provide e-Government advisory and technical support for implementation of e- Government. iv. To coordinate, manage, develop, disseminate, monitor and evaluate e-Government standards and guidelines. v. To ensure the Public has access to e-services. Responsible for design and developing of web-based applications, technical solutions to solve business problems, which includes initial design, coding, deployment, testing and maintenance of software application systems. The primary objective is to help businesses be more efficient by developing technology solutions in a cost-effective way by determining the software requirements of projects, and communicating them clearly to stakeholders. Engineering or equivalent degree from a recognized institution. ii. Sound knowledge in: Git, Grid System (Sussy Grid), Node JS, Gulp JS, SASS, Twitter Bootstrap, and Bower will be added advantage. v. Possession of a relevant recognized ICT professional certification will be an added advantage.  An attractive remuneration package will be offered to successful candidates. Responsible for design and developing software applications based technical solutions to solve business problems, which includes coding, software deployment, initial testing, and maintenance of software application systems. The primary objective is to help businesses be more efficient by developing technology solutions in a cost-effective way by determining the software requirements of projects, and communicating them clearly to stakeholders. i. Advanced knowledge in RESTful and SOAP APIs, Queue Management, SMS Gateway, SMPP Knowledge, Data Visualization, Database Optimization, and Smartphone App Development using iOS, Android, Phonegap, etc. will be added advantage. x. Provide appropriate infrastructure technology solution to support eGA Operations. xiii. Contributes to the disaster recovery and business continuity planning process regarding the assigned systems and infrastructure xiv. Assist in management of hardware devices, licensing and all programs as assigned. v. Practical skills in configuring access to file services as Access Control, managing NTFS file and folder permissions, managing permissions for shared resources, determining effective permissions, configuring and managing distributed file system as Distributed File System (DFS) Overview, configuring DFS Namespaces, configuring DFS replication, deploy file sharing services, deploy an FTP server and a web server. The primary responsibility of the Network Engineer is to maintain all network systems and work closely on Network and Data center infrastructures to support critical network and public shared systems. i. Monitor performance, capacity, and availability of the network on an ongoing basis and recommend improvements in technologies and practices. Engineering or related discipline from recognized institution. iii. Proficiency in designing/deploying in LAN/WAN topologies using routing protocols like OSPF/ISIS, EIGRP, BGP, IPv6, MPLS, Multicast, HA/Redundancy etc. iv. Good understanding of last mile (both Fiber Optics and Microwave) technologies. xii. Working knowledge of Antivirus/IPS/web proxy technologies. xiv. Practical skills in managing Server Infrastructure roles as IPv4 and IPv6 Addressing, Domain Name System Server Role, Configuring DNS Zones, DHCP Server Role. xv. Practical skills in configuring and managing VoIP System architecture and Technology. The primary responsibility is effective provisioning, installation, configuration, operation, upgrades and maintenance of server systems hardware, software and infrastructure. This individual ensures that system hardware, server operating systems, software systems, infrastructure and related procedures adhere to eGA’s values. i. Provision, install, configure, operate, upgrade and maintain assigned server systems hardware, software and infrastructure on MS Windows, Linux and Unix Server platforms. ii. Provide appropriate infrastructure technology solution to support eGA Operations. diagrams and related documentation, and system component maintenance contracts are properly maintained. xiii. Management of hardware devices, licensing and all programs on the Data centre. xiv. Ensure high-availability of data centre products and services. xv. Execute other assignments as you may be assigned from time to time by your superiors. v. Installation and Administration of Packages, Patches and Updates- fundamentals of Patches, Packages and Updates installation and administration. xi. Practical skills in configuring access to file services as Access Control, managing NTFS file and folder permissions, managing permissions for shared resources, determining effective permissions, configuring and managing distributed file system as Distributed File System (DFS) Overview, configuring DFS Namespaces, configuring DFS replication, deploy file sharing services, deploy an FTP server and a web server. xiii. Possession of recognized ICT professional certification such as CISA, CISM, CISSP, CEH, CCNA will be an added advantage. Responsible for requirements gathering and designing applications based technical solutions to solve business problems, which includes defining, analysing and documenting software and system requirements. The primary objective is to help Public Institutions implement technology solutions in a cost-effective way by determining the requirements of software projects, and communicating them clearly to stakeholders, facilitators and partners. i. Acting as a bridge between business group with need or problem and the Technology teams offering a solution to a problem or need. involving line of business, software/hardware developers and vendors.